While I was at a panel at AnimeNEXT last Saturday, I received a series of press release emails from FUNimation on the latest license acquisitions they had just announced at a convention in Texas. 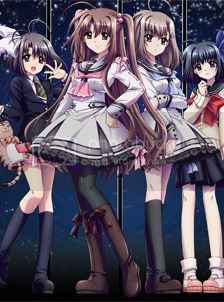 Among them was the currently on-air anime series We Without Wings. “Why?” I ask myself out loud after reading that. I look over the email a little more trying to figure it out. I pressed the reply button to send an email back to Jackie Smith, FUNi’s PR manager and my contact within the company. I almost sent the email as just that, but I realized that she probably wouldn’t be able to give me a response to such a rude and condescending question. So I deleted the message and left it at that, but the question has still continued to ponder in my head ever since. You know, I never review new-from-Japan anime series on this blog because everyone and their mother blogs about the newest anime episodes as soon as they hit the bittorrents. But Ed Sizmore of Comics Worth Reading requested to hear my impressions of one of my favorite series this season, Chu-Bra. Ed watched the first episode last night and was absolutely appalled by what he saw. Ed’s main hangup on the series is with its over-sexualization of adolescent children. The characters are portrayed as just beginning Japanese middle school, which would place them as 7th graders, or 12-year-olds, at the start of the story. However, I think that Ed and most viewers are completely misunderstanding what type of appeal the series is intending to go for. And because they can’t see past this misconception, they’re missing out one of the better anime series to have come out in recent years. Buzz was generating through out all of last week as a mysterious website popped onto the internets. 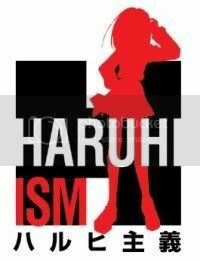 The simple page made promises that the popular anime series, The Melancholy of Haruhi Suzumiya, was being licensed in the US. The website only claimed that “The world as we know it will end” that Friday. But for those looking around, one could find hidden messages to decrypt written in the website’s source code. The popular news website AnimeOnDVD.com also played along by highlighting of the letters SOS written on their posts. The hype was big, and many started to speculate who was behind the mystery. At first I thought it was a joke. A bunch of fans got together to pull the biggest hoax in anime history. But as the video continued, it became clear that this was no joke. In fact, this was probably one of the most enjoyable marketing campaigns I have ever seen. REPOST: What’s Happening to the Anime News Network? Even before I became an anti-piracy advocate, I had a bone to pick when “professional” anime news site Anime News Network began reviewing TV shows that were not legally available in America and could only be obtained through online piracy. The website began doing this to drive up web traffic and to compete with the ever growing number of non-profitable amateur anime blogs. I felt that a website making money from ad revenue shouldn’t be promoting piracy and profiting off of it like this. 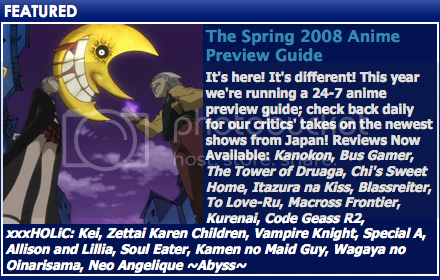 On October 1, 2009, ANN once again began posting reviews of anime shows from the Fall 2009 season, some of which are still not legally available in America. So to spread awareness of this horrible profit-off-of-piracy scheme the website has going, I’m reposting my original essay from last year and starting a 30-day boycott of the site on my Twitter feed. Does Disney Hold the Key to Anime’s Future? Hey otaku, did you hear that Disney bought Marvel? It’s an acquisition that has been the subject of many jokes and ridicule from the snarky community of the online peanut gallery. Disney has been known for generations as the people behind the world’s most popular cartoon characters and family friendly kiddy fair. Most recently, the company has been striking major success with targeting the prepubescent female demographic, or “tweens” as it’s been called, with series like Lizzy McGuire, Hannah Montana, and the Jonas Brothers. The acquisition of the major comic book company seemed completely random to the fanboy community as Marvel has very little to do with Mickey Mouse or Hannah Montana. So most, if not all, of the comments from that peanut gallery had to do with how Disney would change these super hero franchises in order to target these inappropriate demographics. Otaku themselves had their own mini version of the Marvel acquisition when Viz Media announced that the popular Naruto Shippuden series would begin airing on the new TV network Disney XD. Naruto, a fairly violent action series targeted towards boys, seemed to also go against the ideal of Disney being the squeaky clean outlet for little kids and tweens. So once again came the snark of how Disney will ruin the popular anime franchise. 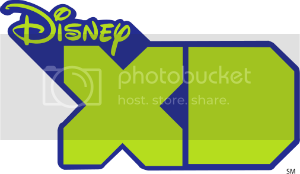 But if we nerds would take the time to stop ragging on Mickey Mouse and Hannah Montana for a second or two, we’d actually see that they might be on to something with this Disney XD channel. In fact, Disney XD could be to anime in the upcoming decade what the Cartoon Network was to anime in the past decade.